Lasell Village is a Boston-area continuing care retirement community (CCRC) that is on the leading edge of several senior housing trends, notably intergenerational living and university partnerships. The CCRC is located right on the campus of Lasell College — a leader of the “age-friendly university” movement — and showcases the positive results that senior living communities can achieve through such close alignment with an academic institution. While many CCRCs offer lifelong learning opportunities, Lasell Village has gone further. From the time of its founding in 2000, its residents have agreed to complete at least 450 hours per year of activities such as coursework, student mentorship and research projects. The model has proven successful. Today, the 219-bed community has a waitlist of about 70 names and is undergoing a major renovation, Lasell Village President Anne Doyle told Senior Housing News. “It is a real differentiator,” Doyle said of Lasell Village’s operating model. As partnerships between senior living providers and universities become more common, these organizations are looking for successful models to emulate. The Lasell example illustrates the value in a deliberate approach to maximizing synergies, starting with governance. Lasell Village and Lasell College are two separate non-profit organizations that report to the same parent entity, Lasell Inc. Some board members also overlap between the college and senior living community. “There’s shared information and vision across the campus as age-friendly,” Doyle said of this arrangement. Lasell Village residents pay an entrance fee and monthly fees that cover typical senior living amenities and services, as well as a robust set of educational resources and offerings of Lasell College. Residents can register for any class at the college, with some exceptions, explained Joann Montepare, a professor and director of the Fuss Center for Research on Aging and Intergenerational Studies. The Fuss Center forms a connection point between the school and Lasell Village, being located between the CCRC and the academic campus, Montepare said. In her role, she studies intergenerational learning and helps facilitate it at Lasell — which is a typical undergraduate environment overall despite the greater age diversity, she emphasized. For example, she helps identify and promote about five classes per semester that the Lasell Village residents might find particularly rewarding, and works with faculty to help with intergenerational classroom dynamics. She also helps design shorter one- to two-week courses for residents and college students. But the interactions between Lasell College students and Lasell Village residents extend beyond just being in some classes together. Students and seniors collaborate on projects, attend guest lectures and panels, and mingle at sporting events — and many students are employed at Lasell Village. Lasell Village even subsidizes student workers’ housing costs during the summer and winter breaks. While this access to a student workforce helps meet labor challenges, their affiliation brings other benefits to the college and CCRC. Despite the fees to support the university’s educational offerings, the CCRC’s rates are comparable to those of nearby competitors. Doyle confirmed this through market research that an outside firm conducted for Lasell Village several years ago. In fact, Lasell Village raised its rates after that study, and doing so did not hurt occupancy. As for the profile of Lasell Village residents, many are retired professionals who are highly accomplished in their fields, ranging from medicine to law. They find the lifelong learning component of Lasell Village a big draw and the residents also provide great word of mouth marketing, Doyle noted. As the affiliation with Lasell Village shows, Lasell College has long been committed to intergenerational learning. But this commitment now has become even more formalized, through Lasell College’s participation in the age-friendly university movement. About four years ago, Montepare and some of her colleagues went to Ireland, to attend a conference at the invitation of Dublin City University. That university pioneered the AFU principles and wanted to hear about the work that Lasell College and Lasell Village were doing. Upon returning from that conference, Montepare approached Lasell College’s president about formally endorsing the AFU principles. Lasell became just the second U.S. school to join the age-friendly university network. The 10 principles include promoting personal and career development for older adults; promoting intergenerational learning; and widening access to education for seniors. Today, there are about 40 institutions that have signed on to the principles, and the next step is to put more infrastructure in place to keep schools accountable and support their strategic planning efforts. 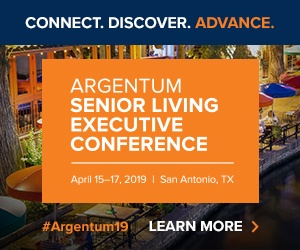 Lasell College and Lasell Village are eager to talk about their work and to show how the relationship between academia and senior living providers can strengthen these institutions operationally, financially and in terms of their respective missions. Interested in learning more about intergenerational living and university partnerships? Click here to access Senior Housing News’ deep-dive report on the intergenerational opportunity. Click here to access SHN’s close look at the future of university partnerships.